Along with the official announcement of the partnership, a range of cutting-edge ASUS laptops were introduced to the audience at the launch event held in Colombo recently. The event was attended by Asoka Pieris – Group CEO of Singer Sri Lanka PLC, Kumar Samarasinghe Marketing Director of Singer Sri Lanka PLC and several members of the Singer management as well as members of the ASUS team including Leila Lin –Country Product Manager, Ishkey Irshard – Country Manager Sri Lanka & Maldives and Kasun Andramanage – Commercial and LFR Manager. 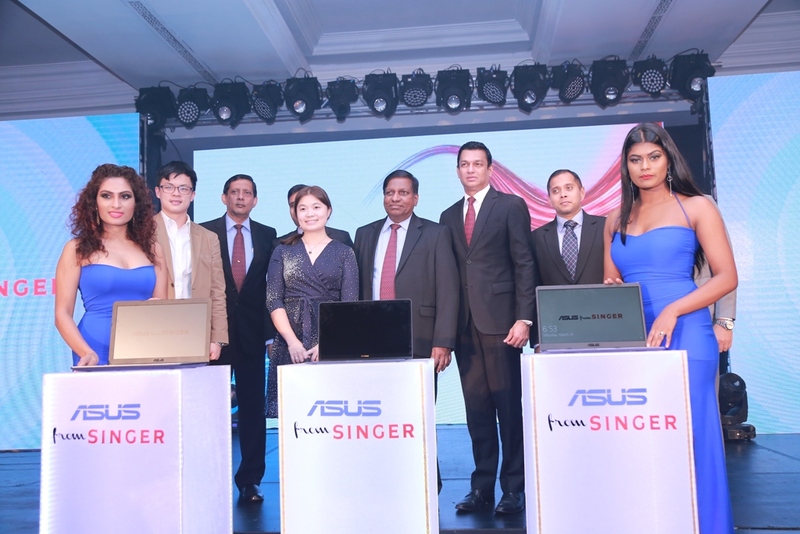 Large Format Retailers play an important role in brand recognition and by partnering with Singer Sri Lanka, ASUS is able to take advantage of Singer’s unparalleled network of outlets around the country and thereby take ASUS laptops to a broader audience. As Singer is widely known to be Sri Lanka’s Number 1 brand, having being recognized as the “Most Popular Brand Name” for the 12th consecutive year at the SLIM-Nielson People’s Awards, the tie-up will also boost the ASUS brand in the eyes of the target audience.